VietNamNet Bridge – With a growing population, increasing demand for water and the negative impacts of climate change, Vietnam faces major challenges in ensuring water security. Now is the time for the country to speed up studies on water security and environmental security to develop a legal framework and solutions to tackle the challenges, said director of the National Centre for Water Resources Planning and Investigation Trieu Duc Huy. According to the Ministry of Natural Resources and Environment (MONRE), Vietnam now has about 830-840 billion cubic metres of surface water, some 63 per cent of which originates in neighbouring countries upstream. This means Vietnam’s water security heavily depends on actions taken on international rivers like Hong (Red) River or Mekong River, said deputy minister of MONRE Le Cong Thanh. He added neighbouring countries upstream of the rivers tend to exploit the water resources, creating more pressure on Vietnam’s water security. Within the country, rivers and lakes have suffered from the negative impacts of socio-economic development, with many bodies of water now being polluted. Water resources for daily use and livelihood have sharply decreased and even disappeared in some localities as increasing demand for water has not been in line with proper measures for water resource protection and water use efficiency. In addition, the country has underground water reserves of about 63 billion cubic metres per year. About 80.6 billion cubic metres of water is exploited and used in Vietnam yearly. Of the exploited water, more than 80 per cent is used for agricultural production. Meanwhile, about 60 per cent of Vietnam’s surface water is in the Mekong Delta, some 20 per cent is in Red River and Dong Nai River, and most of the water availability is in the rainy season. During dry season, which lasts between six and nine months in Vietnam, water volume accounts for only 20-30 per cent of total water volume of the year. The difference of water availability by time and geography causes water scarcity and water shortages in dry seasons. Director of the National Center for Water Resources Planning and Investigation Trieu Duc Huy said that in 2008, MONRE issued regulations on underground water protection, including criteria to identify areas where underground water exploitation is allowed or banned. However, few localities nationwide have identified areas where underground exploitation is restricted or banned. Meanwhile, overexploitation or exploiting underground water without planning have caused land subsidence in Hanoi, HCM City and some areas in the Mekong Delta. “To ensure water security in a changing era, Vietnam needs to speed up studies on the issue so that it could have better legal framework and solutions for managing and responding,” Huy said. At the same time, the country must improve its capacity in forecasting and early warning about the impacts of works built on major rivers’ upstream of the country, for example, drought or saltwater intrusion, he said. “It is also necessary to develop water resources planning for Mekong Delta region and implement planning under climate change scenarios and water exploitation activities by countries on river upstream,” Huy said. 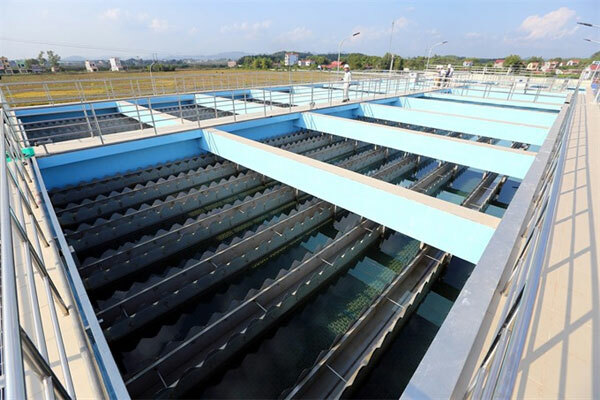 Hoang Van Bay, head of MONRE’s Department of Water Resources Management, told Vietnam News Agency that in 2012, the National Assembly approved the amended Law on Water Resources, adding regulations on water resources protection. The country also has a national action plan to improve efficiency in water resources management, protection and usage from 2014 to 2020. Bay said water resource management faced difficulties, for example, water resources planning is slow, there is a lack of databases and illegal underground water exploitation is rampant. Bay said that MONRE has proposed a plan on water resource surveys to the Prime Minister. The plan includes surveys and assessments on the country’s surface water and underground water, expected to help produce a national report on water resources every five years. The ministry also expects to complete and start a surveillance system on the operation of about 70 major reservoirs on basins of 11 rivers nationwide. Another surveillance system is expected to work to control water exploitation and wastewater release into water resources. “It is expected that by 2050, water resources surveys and studies could provide sufficient data to help manage, exploit, use and protect water resources sustainably,” Bay said.